Who is Bradley Walsh and what is his net worth 2019? Bradley John Walsh was born on June 4, 1960 in Watford, Hertfordshire, UK. He is an English actor, singer, comedian, television presenter. He is also a former professional football player. He was 18 when he played professional football for Brentford. He had a promising spell with non-league Dunstable Town, scoring 15 goals in 25 league matches. He also played for Barnet, Trig Town, Boreham Wood and Chalfont St Peter before his football career was ended by separate ankle injuries in the early 1980’s. Walsh had a variety of jobs after his football career ended. He finally got a prominent role on television as part of the presenting team of National Lottery which was broadcast regularly. He was then offered a role as a presenter on the ITVs new game show, “Midas Touch”. One of Bradley’s biggest achievements came when he was asked to host the British adaptation of the popular US game show called “Wheel of Fortune”. He did this for just one year before turning towards acting. He appeared in a small role in a Channel 4 series, “Lock Stock…..” He was approached by the same channel for a role in their TV film “Mike Bassett: England Manager” which released in 2001. He had another stint with ITV when he landed a role in the 2002 British soap opera titled “Night and Day”. The show lasted for a year and Walsh appeared in 52 episodes. Post that, he suffered from a dull period in his acting career featuring in a minor role in “The Bill”, a spin-off of “MIT: Murder Investigation Team”. He later appeared in a TV drama titled “Torn” in 2007. He appeared in two episodes of yet another spin-off titled “Doctor Who”, where he did an exceptional job. Walsh also featured in the special edition TV show on Channel 5 titled “Dangerous Adventures for Boys” along with his son Barney. In his third stint with ITV, Walsh started to appear in the crime drama, “Law and Order: UK”. He starred in the show for more than five years till 2014, completing 53 episodes and eight series before he decided to take a break from the show. Walsh was then cast in the 2015 BBC One comedy series titled “Sun Trap”. 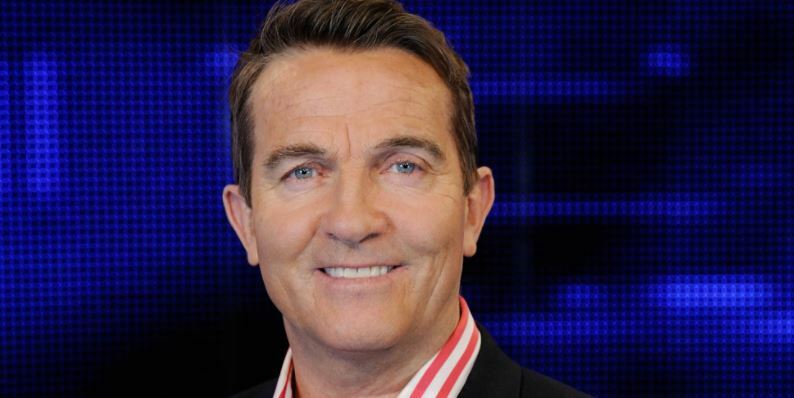 Out of all the work he has done, Bradley Walsh is best known for his work in “The Coronation Street” as Danny Baldwin, DS Ronnie Brooks in “Law & Order: UK” and as a host for ITV game shows, “The Chase” and “Cash Trapped”. Walsh hosted the annual Crime Thriller Awards and the Specsavers Crime Thriller Club for ITV 3. In 2016 he hosted eight episodes of another spin-off called “Night at the London Palladium” which was inspired by the Sunday Night Series. He has also been a team captain in a sports themed show called “Play to the Whistle”. The second series of the show began in April 2016. Walsh released his debut music album in November 2016. It was titled “Chasing Dreams” and it surprisingly sold 111,650 copies becoming the highest selling debut album by a British artist in 2016. Walsh has also been a part of many theatre productions throughout his career and also did many stand-up comedy performances throughout the UK. He also co-wrote a series of personalised football story books titled “My Dream Cup Final with….” Walsh is also a supporter of the ‘Make-A wish Foundation’. Bradley Walsh married choreographer Donna Derby in 1997 and has a son named Barney, born in the same year as his marriage. He also has a daughter named Hayley from a previous relationship. Walsh’s father Daniel Terrence Walsh died in 1993 and his mother’s name is Margaret. Education: Walsh attended school in Gaston, Hertfordshire (Francis Combe Academy). His interest in school was more towards sports and media and he passed with good grades in both the subjects. He was also a part of the school’s football squad and scored 64 goals for the school. He has also performed as a stand-up comedian since his school days. Bradley Walsh won the British soap award in 2006 for ‘Best Dramatic Performance’ as Danny Baldwin in Coronation Street. In 2013, ‘The Chase’ won the Broadcast Award for the ‘Best Daytime Programme’, a show hosted by Walsh. The show also won the National Television Award for ‘The Most Popular Daytime Programme’ for two consecutive ceremonies (2016,2017). The total net-worth of the British actor is $8.5 million which is understandable looking at the various jobs that have come his way. This is not very high compared to other top celebrities but certainly does well for Walsh. His recent music album ‘Chasing Dreams’ must have earned him a fortune selling many copies as it was the number one selling music album by a British artist in 2016. Bradley Walsh has been passionate about cars since he was a kid. He was helped by his grandfather at the age of 17 to buy a Mini Cooper. Since then he has probably had about four Vauxhall Cavaliers, a few Workhorses, two Chrysler jeeps, Jaguars, Mercedes and Saabs. He also owns a house in Chigwell, Essex. Being the complete entertainer that he is, Bradley Walsh’s business model is evident from the fact that he has invested in efforts in all the talents that he could possibly nurture. Walsh’s list of professional endeavours is endless and he has been mostly successful with a few ups and downs. He is an actor, TV Presenter, stand-up comedian, singer and a former professional football (Soccer) player. His professional interests in all these areas show that he believes in using his abilities to the fullest and is not bound by set choices. Walsh doesn’t believe in using a credit card and only wants to use the money he has. He believes in spending more on holidays than material possessions and doesn’t believe in doing business with friends. With a top selling music album behind his back, the popular British TV show (The Chase) in his kitty and the latest series, “Tonight at the Palladium”, Bradley Walsh has his hands full at the moment. He was also considered for the role of James Bond in the popular franchisee 007 but lost the opportunity to Daniel Craig. He has put that behind himself now to focus on the future. He is currently one of the busiest men in British TV industry. Bradley Walsh has by no doubt been a ‘Jack of All Traits’ but it would also be fair to say that he has done well in harnessing all those traits. From being a professional footballer to landing some popular roles in British TV shows and films, he has also been a very successful TV show presenter and a stand-up comedian. He struck gold with his latest album titled ‘Chase’ which won the award for the best selling music album in 2016 by a British debutante.